Designer Minds help primary-aged girls and boys gain confidence in STEAM (Science, Technology, Engineering, Art & Maths) through rewarding, hands-on activities that are also great fun! Designer Minds believe that STEAM is necessary for creative problem solving, an essential tool for critical thinkers, and a gateway to innovation. At a Designer Minds STEAM club, children are introduced to activities that are easily accessible and rewarding for all types of kids, in the hope that children continue to develop their skills long after the club has ended. Children will code robots, produce a stop-motion movie, explore the microscopic world, complete engineering challenges with LEGO and more, while working in small teams to help develop vital teamwork and communication skills. 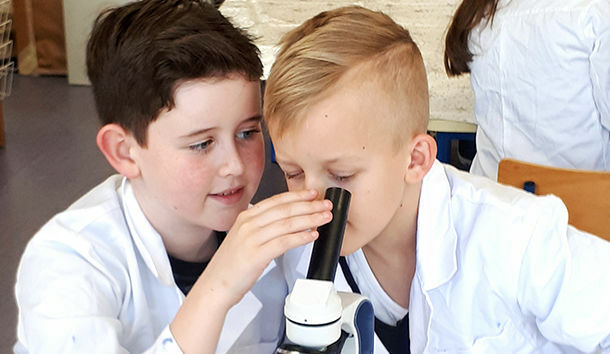 “Through introducing children to a huge range of different STEAM topics, we hope that the children find subjects which really ignite a curiosity and passion in them. With this growing confidence and curiosity, we try to inspire the Designer Minds children to see themselves as creators and innovators, not just consumers. Children nowadays live in a world surrounded by technological tools, engineering toys and experimentation kits. We aim to start them on the path towards becoming the problem solvers, the creators and the innovators of the future, by showing them just how rewarding, fun and exciting it can be to explore, make, create and innovate" - Donal Lyne, Designer Minds. These clubs, with a capacity of just 32 fill up fast, so early booking is highly advised.